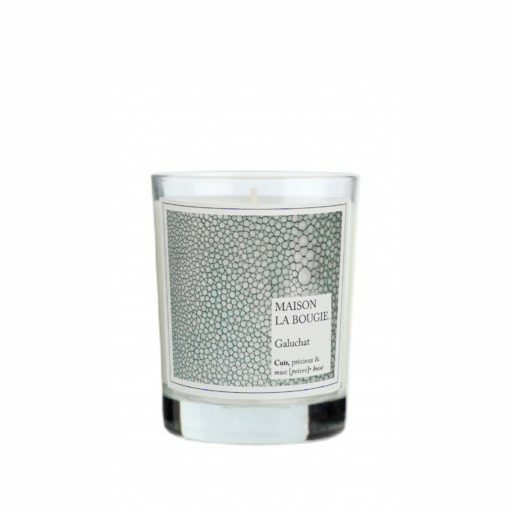 Maison la Bougie scented candles fuse a modern aesthetic for tropical luxe design with an array of fragrances that compliment their chic and cheeky Parisian vibe. Beautifully packaged to stylishly symbolise the scent housed within, each candle is crafted from the finest ingredients to provide you with over 40 hours of luxurious scent. Discover the latest Maison La Bougie news and product launches on the Osmology blog. Propelling classic home fragrance into the present through reimagined aroma and enchanting aesthetic, Paris-based Maison la Bougie make gifting a dream. Their colourful curation of all-French scented candles is a treat for the senses, each vessel decoratively and stylishly symbolising the scent in which it houses. Maison La Bougie come at scent in the reverse to many other brands - it's image first; the print, the colour, the aesthetic that dictates the fragrance created. This approach makes everything work in unison, melding the visual with the olfactory. Beautiful striking fragrances dressed in bold patterns - Maison La Bougie is unapologetic in it's aesthetics. Osmology is an official Maison La Bougie candle UK stockist. Discover the full Maison La Bougie scented candle collection including bestselling scents that will fill your home with fragrance. Get free delivery on all orders over £50 when you shop online at Osmology today.